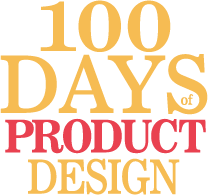 Day 11: Identify user goals in an application or website. See if you can identify the user’s goal in a few applications. We identify the users’ goals first, before we start designing the interface, so that we can be sure we make it simple for them to get to those goals. Once we know what their goals are — and there are probably many with any application — we can start working on a list of tasks that they’ll have to accomplish to reach those goals. The goal is what the user is trying to achieve. e.g. send an email or order a movie ticket. A task is each step he takes to reach that goal. Identify the user goal in 3-4 different applications. Remember, any one application has multiple user goals. Try to find as many goals as you can for at least 3 applications. List the applications and the goals you identified. Share in the comments and/or on Dribbble and Twitter #100daysdesign.